Amtrak service is suspended between Boston and New York. A Tunisian man has been charged in New York for lying about his work visa because he wanted to facilitate "an act of terrorism" and authorities say he had connections to the thwarted terror plot that involved derailing a passenger train near the Canadian border. Federal prosecutors said Thursday that the man has ties to the two suspects arrested recently in what the Royal Canadian Mounted Police said was an "al-Qaida-supported" plot. Law enforcement sources tell NBC 4 New York that Ahmed Abassi met with the Canadian terror suspects and may have helped to radicalize them. The charges Thursday said he lied about his visa documents in an effort to "facilitate an act of international terrorism." In a May 9 letter to the judge, prosecutors said Abassi acknowledged in an interview after his arrest that he and one of the Canadian plot suspects discussed plans "to poison a water system and to derail a passenger train." Canadian officials have thwarted a terror plot that envisioned derailing a train in Toronto, and multiple sources say that Amtrak trains out of New York City may have been scouted by the suspects. Andrew Siff reports. U.S. Attorney Preet Bharara said Abassi "had an evil purpose for seeking to remain in the United States – to commit acts of terror and develop a network of terrorists here, and to use this country as a base to support the efforts of terrorists internationally." 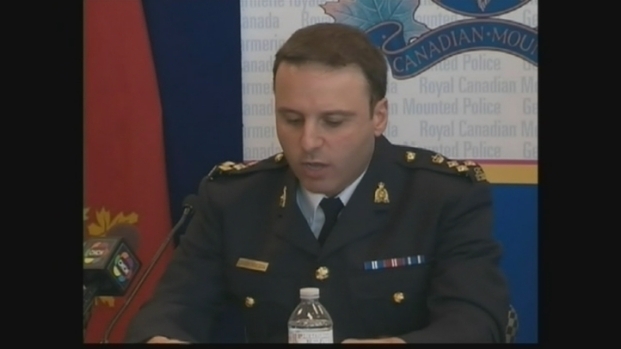 Prosecutors said Abassi helped radicalize one of the Canada suspects. In the court proceedings after his arrest, Abassi told the judge, "Your respectable Honor, I am not guilty," according to a transcript unsealed Thursday. Authorities said the Canada plot involved targeting the railway that is operated by Via in Canada and Amtrak in the U.S., and multiple sources familiar with the investigation have said the suspects may have scouted Amtrak trains out of New York City. The alleged plot entailed blowing up a bridge near Niagara Falls as the train tried to cross. Officials stressed that those suspects were under surveillance for more than a year and that there was never any threat to public safety. They say the attack was "in the planning stage" and was not imminent.